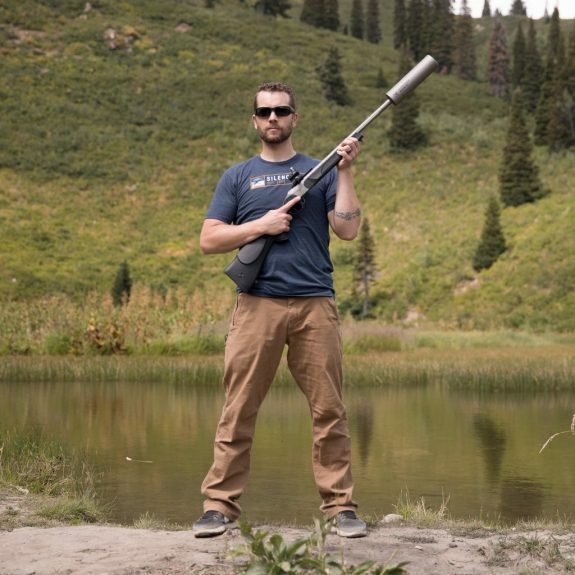 Silencerco just released details of their Maxim 50 – a 50 state legal, suppressed muzzleloader that can be purchased online with no paperwork. That ripping sound you hear as you read this is the sound of thousands of hunters in suppressor legal states tearing their wallets out of their pockets simultaneously. For the first time since the National Firearms Act (NFA) was created in 1934, civilians can enjoy suppressed shooting in all 50 states with SilencerCo’s latest innovation: the integrally suppressed Maxim 50 muzzleloader. In addition, this product can be purchased right now on the web with no regulation (no 4473, no $200 tax stamp, no photographs, and no fingerprints) and be shipped immediately to the customer with few exceptions. In addition to producing hearing safe sound results, the Maxim 50 also offers shooters greatly reduced recoil and a 2/3 reduction of smoke emissions when compared to non-moderated muzzleloaders. No matter where you are in the country, you can now enjoy shooting suppressed. The only thing better than an affordable NFA Trust is a free NFA Trust. 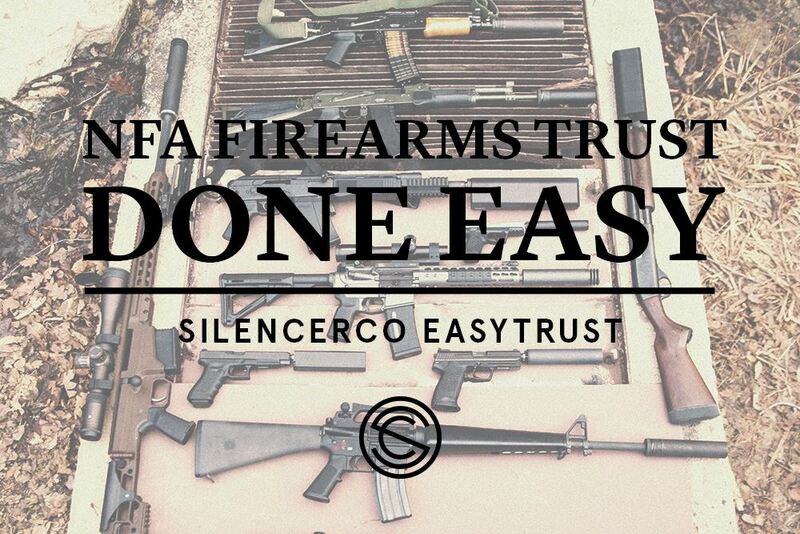 We told you about SilencerCo’s affordable NFA EasyTrust in past weeks. Now they are giving one away. Head over to the SilencerCo’s website to enter. I am automatically skeptical of most of the NFA trusts that are sold online. A trust is a legal document/entity that, while not rocket surgery to build, is going to be the legal means of holding some of your most highly regulated and expensive possessions. I want to know its going to be right. Thankfully, Silencerco has stepping into the fray with their NFA EasyTrust offering. The EasyTrust is 50-state legal and costs $129.99 which is more than some DIY trust options but less expensive than going to a lawyer who knows something about firearm specific trusts. It is quite affordable and very easy. Silencerco just introduced a line of threaded Glock barrels with a very impressive spec sheet and reasonable prices. The barrels are cut from 416R stainless steel and feature a black nitride finish. 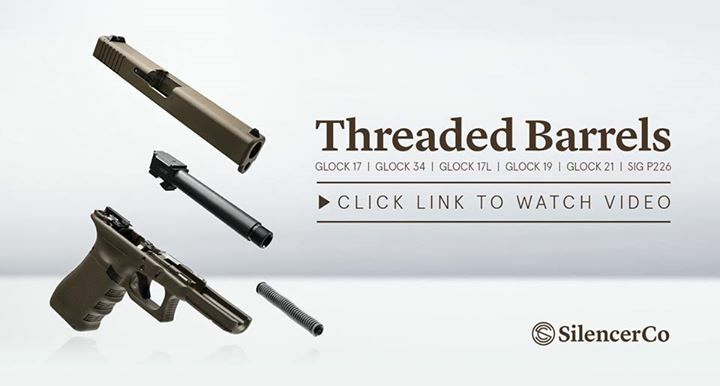 These barrels are available initially for the Glock 17 and Glock 21 with other models coming soon (G19, G34, G17, Springfield XD, Sig 226, and S&W M&P). This video series has potential! SilencerCo is dropping some suppressor knowledge in a fun, short, and easy to consume video format in their new Silencer Science series. The first video was released today and it is chocked full of good information.